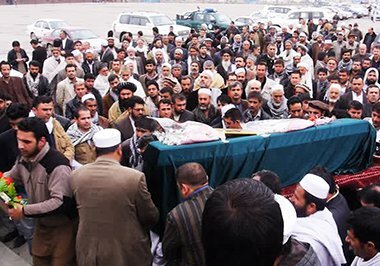 Tolo News: Eleven Afghan migrants died recently in a traffic accident in Karman province of Iran and three others were wounded – but one victim’s brother told of how they had been on their way to Europe in search of a better life. ‎Aimal, whose brother Romal died in the accident said all his brother wanted was a better life for his family. Aimal said: “Romal wanted to make a better life with his family because in our country there is no security but he failed to reach to his dreams.” Click here for more (external link).